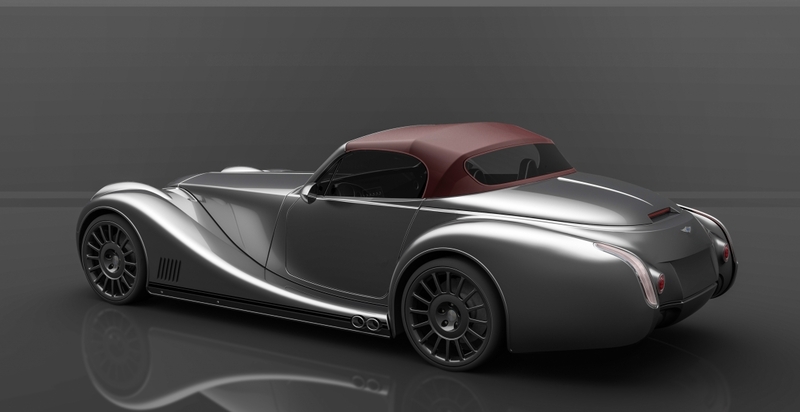 Morgan release first rendering of soft top hood and wheel options for the new Aero 8. Following the hugely successful launch of our new Morgan Aero 8 at the Geneva Motor Show 2015, we are delighted to update you with the latest developments from our R&D team. As well as dynamic and visual changes, the Aero 8 also signifies a return to soft top motoring for our flagship range. The attached rendering is the first impression of how the stow-away soft top will look. The hood is undergoing our testing process and we look forward to bringing you images and video demonstrations very soon. In addition to this we have also finalised wheel options for the new car. As well as the range of wheels we currently offer on our aluminium platform vehicles, we are also excited to announce the addition of a new 19inch multi spoke alloy wheel. This new wheel takes inspiration from the Aeromax wheel currently offered whilst being lighter and more rigid. We look forward to bringing you further updates and information on the new Aero 8 very soon. This image is a rendering � final production cars may differ slightly to the car shown, we will be releasing further images during the coming months.